Welcome back to another guest interview here on The Writing Piazza. Today we have bestselling author Laurence St. John with us. He is the creator of the highly popular Metatron Series. Hello Laurence, it’s great to have you with us today! Hello and first of all thank-you for having me. I appreciate it very much! I appreciate you taking the time to do this interview with me! Why don’t we start with you telling us a little about yourself? 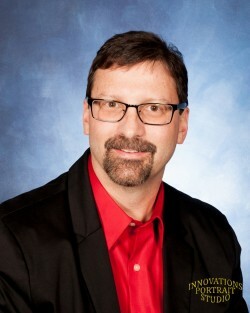 My name is Laurence St. John and I grew up and went to school in Genoa Ohio. Currently I live in Northwood which is just south of Toledo Ohio. While working in the steel industry, my place of employment changed hands for the third time. Fortunately I was able to retain my job. In the same year my first granddaughter Kendall was born. This was one of the most uplifting moments of my life. It was at this time when I became inspired as well as determined to write my penned-up thoughts on paper. A few years later, and many hours of writing, editing, revising and re-editing, it was finished. This journey had many bumps and curves in the road but at the end, it was all worth it. I have been writing all my life, in my head, but professionally for eight years. It’s amazing the inspiration and perspective that new life gives us. My kids were my own catalyst for finally writing a full length novel. I always love hearing about what inspired writers to write. And in your determination you have successfully written a number of novels you’ve within what you’ve entitled the Metatron series, can you tell us a little about them? Young Tyler Thompson fights crime using superpowers bequeathed by the angel Metatron. But the angel held something back, and Tyler must get it before the sinister Dr. Payne does, or even worse, the devil’s most ruthless warrior, Black Shadow. With the help of the Mystical Blade of Credence, he succeeds, only to watch as Payne’s girlfriend creates havoc. 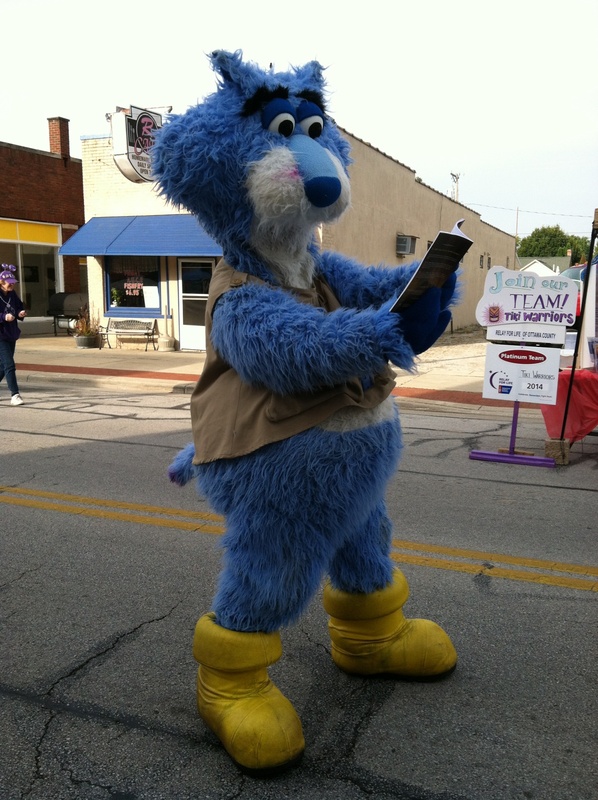 mascot “CatTrick” reading one of my books. That sounds very exciting. It sounds like something I would enjoy reading even though I think your ideal audience is a bit younger. I have had people from the age of 8 years old up to 75 years old read and enjoy my stories. That’s not surprising, the content sounds exciting and attention grabbing for any age. It’s categorized as fantasy, why did you decide to go with this genre for your books? While growing up, intrigued and fascinated when I read/watched fantasy, science fiction, superhero, and action adventure books/movies. This is why I love writing Teen/YA Fantasy novels. It’s those formative years that really help shape much of a writer’s work. I think that’s what also makes it so exciting to write for younger audiences as well. Thank you for sharing that insight with us! It’s often the thought of readers loving our work that will keep us going when we think about giving up. Can you tell us a bit about the response you’ve had from your audience. 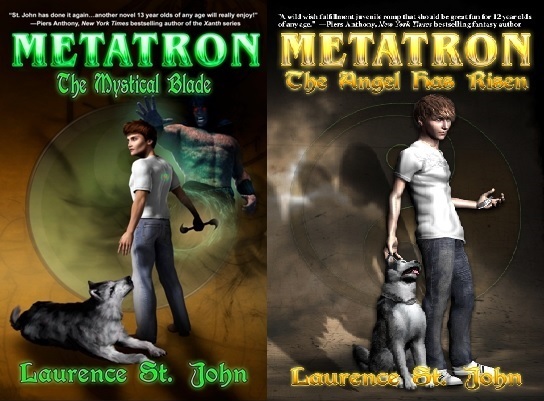 When Jarod, a ten year old boy walked up to me after a church Christmas play a year ago and asked me, “Are you Mr. St. John who wrote the Metatron Book?” “I replied, yes I am, did you read it?” He replied, “Yes I did, I actually read both of them and I loved the books and the stories – thank you for writing them!” That one young man made it all worth it. Those moments really are the best! I always love hearing stories like that. Authors will tell you how lonely writing can be much of the time. It’s a solitary activity, but knowing that there are readers like that out there really make all the work bearable. Here on The Writing Piazza, I try to provide a behind the scenes look at what it’s like to write and to publish. So if we could switch gears a bit and head into the publishing aspect of your work. What was your first published book? 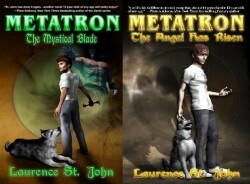 I published my first novel in the series, Metatron: The Angel Has Risen in April of 2012. Did you self-publish or go the traditional route? I went the traditional route; Imajin Books. Everyone’s journey is a little different, even when they go the traditional route. Can you tell us a bit about what your journey was like? After my first book was completely drafted, I had no idea what to do next. Ironically, the next day in the mail was a quarterly letter from the college I graduated from – Owen State Community College. In it was an article about an alumnus who was also an author. And behold, his email address was also included in the article. I sent him an email introducing myself then asked some questions. Within a few days he actually called me and provided me with valuable advice and contact information of an author/editor. After my manuscript was edited by the author/editor along with another editor and query letters sent out to over 100 agents and publishers, I didn’t receive a contract. Wow, a hundred queries. Looks like I have my work cut out for me! What happened next? 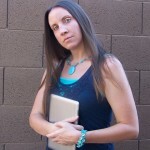 Contemplating the idea of self-publishing, I sent out a help memo to my networking contacts from Facebook and Twitter. I received some great advice from many of them but most importantly a reply to have my manuscript reviewed. Finally, after a couple of months I was offered a contract with Imajin Books. I smiled so much my cheek muscles began to hurt. I bet! That’s so exciting! Hearing stories like that make me feel better about the world. Knowing that there are people out there who are willing to help others out is so heartwarming. It’s such a tough business to break into, I think it’s fantastic to hear stuff like this. What would you say, has been the hardest part about getting your book published? The hardest thing was trying to find an agent and/or publisher. Get help writing your query letter and synopsis. Find a great editor. Remember, be patient. That’s good advice, hard to follow but important to hear over and over so keep us on the right track. How about on the positive side of things, what have you loved most about this whole process? I loved and was pleasantly surprised by how much input I had with the publishers editing process along with the book cover design. I figured that once the publisher had my manuscript they would make any changes they wanted with little to no input from me. Same goes for the book cover. They asked me what I envisioned the book cover to look like. Both book covers were nearly ninety percent what my minds-eye imagined. In addition, I loved creating my characters, settings, dialogue, and places. It was also fun working and brainstorming with my editor. She helped me be a better writer. Just because I’m curious, I sometimes like to ask, what’s one thing you would have done differently if you had it all to do over again? When an author friend suggested to co-author my first book I would have said yes. I’ve always wondered what would have happened to the series. The “what ifs” get us every time don’t they? And I have something that I love to ask because it always produces such great tips for those of us still struggling to make it in the publishing world. What advice would you give to those of us who are hoping to publish our work? Some advice; begin growing your network/social network now. Write the best story you can then find a good editor before you submit a query letter, a synopsis and manuscript to agents and publishers. Lastly, expect rejection, be patient and have fun. Excellent, thanks for sharing a bit about what you’ve learned through your experiences in becoming a bestselling author. I just have one more question, are you currently working on another book? Yes, I’m writing the next two novels in the Metatron Series which should be out in 2016 and 2018. Who knows, I might also be co-authoring a book as well. Thank you again for the interview; I’m grateful. For those of us who are interested, can you tell us where we can purchase your books? The ebooks (kindle version) and paperbacks can be purchased online at Amazon, Barnes & Noble and Books-A-Million. The paperbacks are not on the shelves at Barnes & Noble or Books-A-Million however they can be ordered there. All purchase links are easily found on my website. If anyone has any additional questions please visit my website at www.laurencestjohn.com and send me a message. I’ll be happy to answer them. And for all of you social butterflies out there, here are some links so you can connect with author Laurence St. John. That concludes this week’s interview. Thank you Laurence for joining us. Thank you to all you readers who dropped by, I value your time greatly and work hard to provide you with interviews that are both entertaining as well as informative. I hope you found this one to be both! Have a wonderful weekend!